Discover out-of-the-way places like Fishing Charters & Tours and Big Cypress National Preserve. Museum-lovers will get to explore Vizcaya Museum and Gardens and Britto Central. You'll find plenty of places to visit near Miami: Wakodahatchee Wetlands (in Delray Beach), Everglades National Park (in Florida City) and Everglades National Park (Shark Valley & Anhinga Trail). 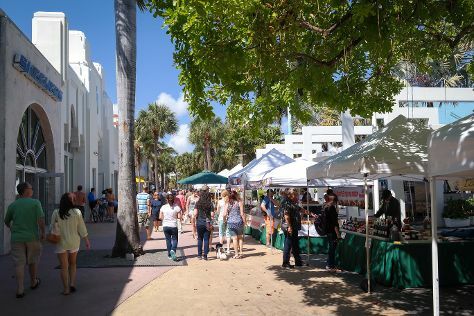 There's still lots to do: take a stroll through Lincoln Road, enjoy the sand and surf at South Beach, look for all kinds of wild species at Green Cay Nature Center and Wetlands, and get some thrills on the water with a speed boat tour. To see more things to do, traveler tips, maps, and tourist information, read Miami itinerary planner. In May in Miami, expect temperatures between 87°F during the day and 74°F at night. Wrap up your sightseeing on the 14th (Tue) early enough to travel back home.